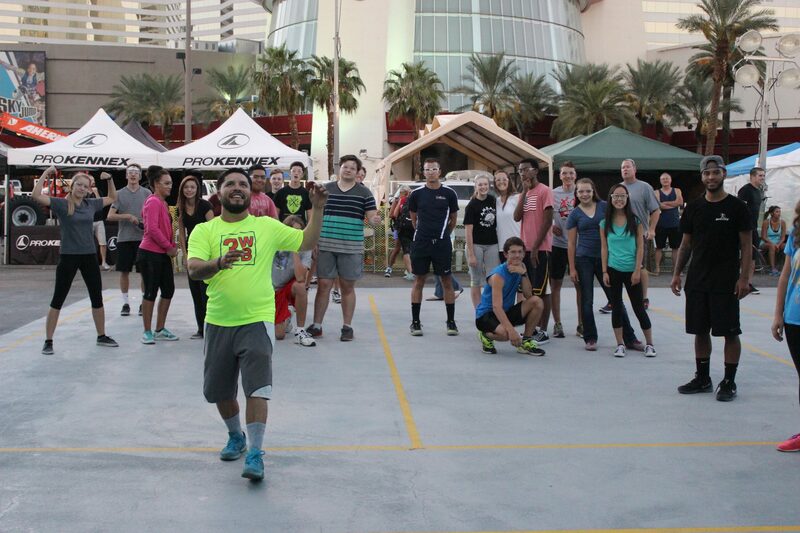 Junior WPH ki cked off the 6th annual WPH/WOR 3WallBall Outdoor World Championships at the Stratosphere Hotel and Casino with a Junior WPH Clinic for several dozen Las Vegas youth, with outdoor greats Timbo Gonzalez and Shorty Ruiz joining WPH Master Instructor David Fink in an exciting 3WallBall instructional. Fink, Gonzalez and Ruiz stressed the importance of technique throughout the coaching session, with each coach teaching a different shot. After practicing the various shots introduced, the 50 junior first-time players jumped into target-practice games and doubles action with one another. “It’s always great to see so many youngsters enjoying the game for the first time,” stated Fink. “Our hope is that they continue playing this great game and enjoying all that it has to offer. 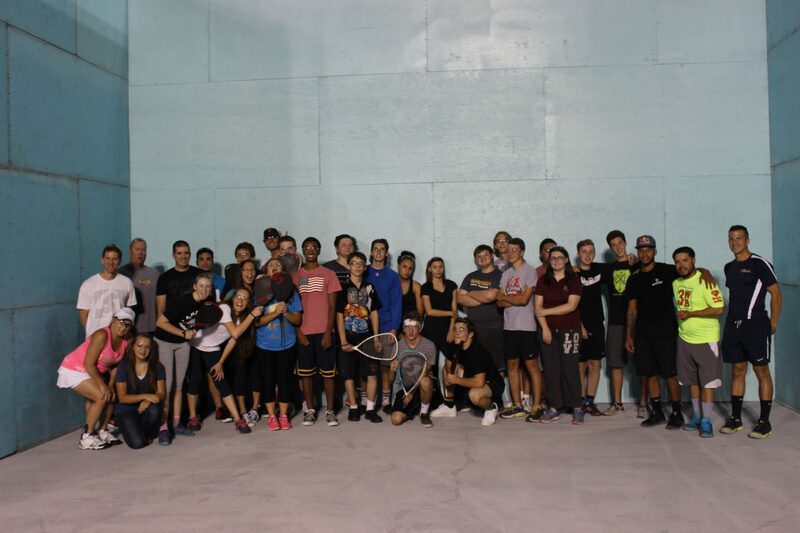 Junior WPH will be running more junior clinics throughout the five-day 3WallBall event, as well as a junior handball tournament throughout the weekend on the famed 3WallBall courts.